Meet the Easter Bunny and make some furry friends! 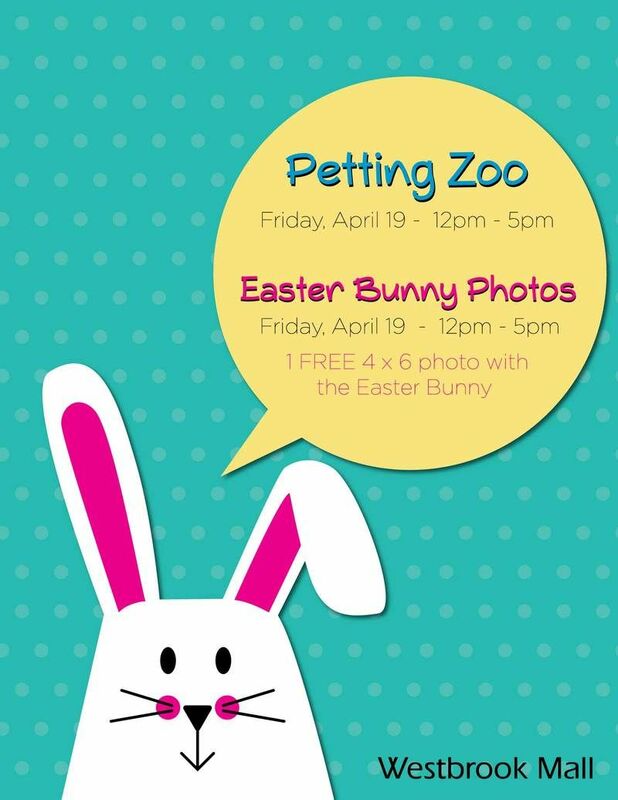 On Friday April 19, 2019, Westbrook Mall is hosting an Easter petting zoo for the whole family to enjoy from 12 – 5 pm. Join us and give your kids an opportunity to interact with friendly farm animals. Or, get your photo taken with the Easter bunny from 12 – 5 pm and receive a FREE 4 x 6 photo!